Welcome to New York Ramps! 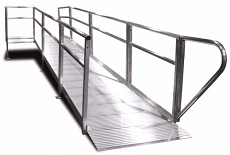 New York Ramps is still Long Island's most experienced installer of Handicapped Ramp Technology. New York Ramps serves all five New York Boroughs. We are close by, so we can offer you the fast service you need. We file all plans for you for the proper permits in the New York City area, both Commercial and Residential. We conform to the 2010 ADA Standards for Accessible Design. Call us today for a friendly no-obligation quote! We have portable ramps in stock! Call to find out more! 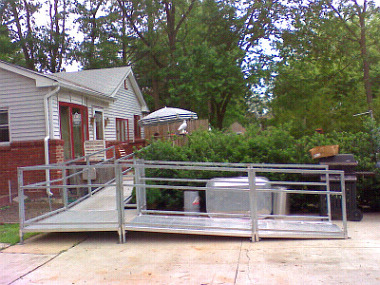 Our Ramp Install Specialists will install your ramp to comply with the Americans with Disabilities Act. Foot of ramp installs flush against all types of surfaces - concrete, asphalt, stone - even bricks walkways. All materials made in America! No challenge too great, no install too small. Interested? Call us at 631-842-1065 Today! Notice to all Physical Therapists in the Long Island and Metro New York area: Contact us now for a special deal (limited time offer). Highest commissions Paid. We are also New York Stairlifts, where you are welcome to see some of our Ramp Install Photos. Fast, safe, the highest quality.